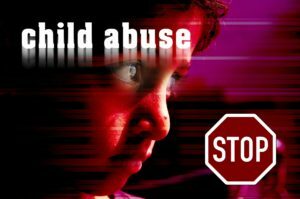 Child Sexual Abuse is prevalent throughout the world. Beware of the Internet. You do not know who you are talking to, nor do your children. Chat Rooms are fun, but they can lead to Child Sexual Abuse. Never arrange to meet someone alone, or give out your real name or where you live, unless you can verify they are who they say they are, and you are able to keep your self safe. Child and adolescent sexual assault is a crime. It occurs when someone uses his/her power or authority over a child or adolescent, taking advantage of the child or adolescent’s trust and respect, to involve the child in any sexual activity. This is usually an adult or someone bigger than the child or adolescent. Sexual assault can impact on the young person and their family in many different ways. They may experience fear, anger, confusion, sleeping difficulties, mood changes, school problems or a range of other difficulties. Sexual assault is always the responsibility of the offender. The child or adolescent is NEVER to blame. It is not always easy to keep an eye on what the kids are doing. Especially when they are in their teens and think they can look after them self, and you have very little time to yourself as it is. Understand that most times in the past, the sexual offender is someone that is known to the family… Father, Uncle, Neighbour, Friend of the family, more occasionally even the mother or other female. With the freedom of the Internet, immature minds don’t see the danger of meeting someone that mum or dad do not know, and there is that added concern that you should be on the look out for. Always let your children know that they can come to you. That nothing is so bad that you can not help them through it. Sexual predators ‘Groom’ children to believe that you would send them away or that you won’t believe them if they tell you. Or it will be their fault if they get found out. Adult survivors of Child Sexual Assault. Some adults have been able to put their experience behind them without seemingly having been adversely affected by the event as they have grown up. Some people believe they have put the event aside but still suffer from low self esteem and anxiety which they have carried around for so long that they do not realise these feelings come from that earlier event. Feelings of shame, guilt, anger and fear are some of the feelings hard to release. I have worked as a Child Sexual Assault counsellor and helped many Adult survivors of sexual abuse release emotions that they have never been able to get over. I have also helped people who have had their drinks spiked and raped as teenagers [or even older]. Case Study 2: A client came to see me and in our conversation she told me that when she was in her teens, another girlfriend and herself used to tell their parents that they were going to each others houses to do homework together. But instead they used to go and meet with boys. This one day as she was about to leave, her mother checked her coat pocket and found a cigarette in it. She told her daughter to get back in her room and she was not to meet with her friend to do her homework. What eventuated was that the other girl decided to go and meet the boys without her. On the way there a group of boys came along the path and sexually raped her and murdered her. My client still felt guilt as she felt that had she gone with her friend that would not have happened. I asked her if her mother usually checked her coat pocket before she went out. “No” she replied. I pointed out that maybe her Spiritual Guide was looking after her and had she gone she also would have been raped and murdered. I have many stories to tell you of what happened to people over the many years that I have been in practice, some of which will end up in my book one day. With dating sites the current way to meet friends – these too are fraught with predators. Take someone with you the first time. Check their driving license and note it down giving a copy to your friend. Let the person you are meeting know. They will soon terminate your meeting if they are a predator and leave you safe. What can hypnosis do? If you have been unfortunate enough to have feelings and emotions from a past happening of abuse, hypnosis with trauma release techniques is able to release you from that negative energy. Through teaching you self-hypnosis and visualisation you can boost your self esteem and confidence and get back to living a stress-free life, making the right choices and bringing about a happy future. Research has shown that your DNA can be reprogrammed by words and frequencies in a deep relaxed trance state. That is why hypnotherapy may be able to assist you to make changes.